There are many good reasons to use TradeStation built in stops and targets, including entry bar protection and the ability to track separate trades within pyramid trades. 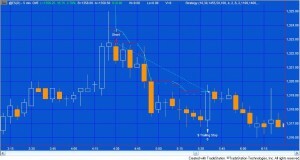 Tutorial 80 demonstrates the use of SetDollarTrailing and shows how to draw lines and text objects on the chart to show the position of the trailing stop. 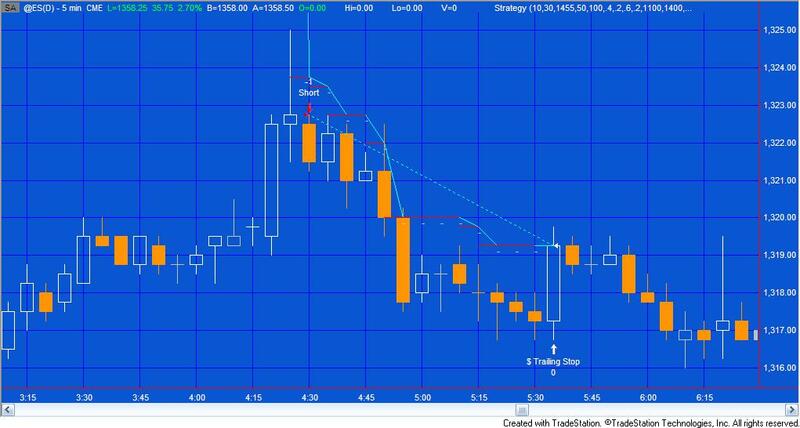 I also shows how, even though a bar crosses or touches the trailing stop, a trade is not stopped out.